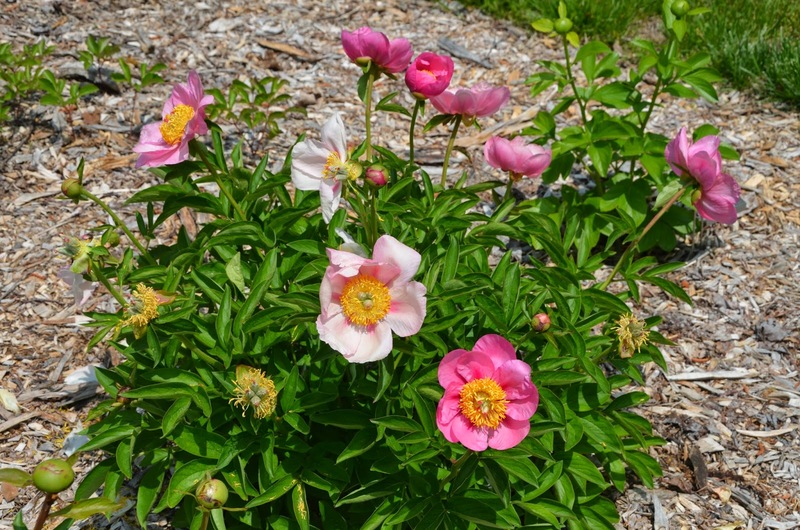 It was hard to choose my Southern Peony Best Performer this week. There were actually 3 contenders, and when the final decision had to be made, Peony 'Firelight' was the winner. The reason this peony beat out the other contenders hands down was because of the length of bloom, the variation in the petal color as the blooms fade, and how clean the peony bloom stems become after the bloom has faded. As you can see there are several bloom stems in the second photo that still hold their bright yellow stamens, even after the faded petals have fallen away. Also this peony actually has awesome, dark pink flares emanating from its center on each of its petals, giving it an extra point of interest. 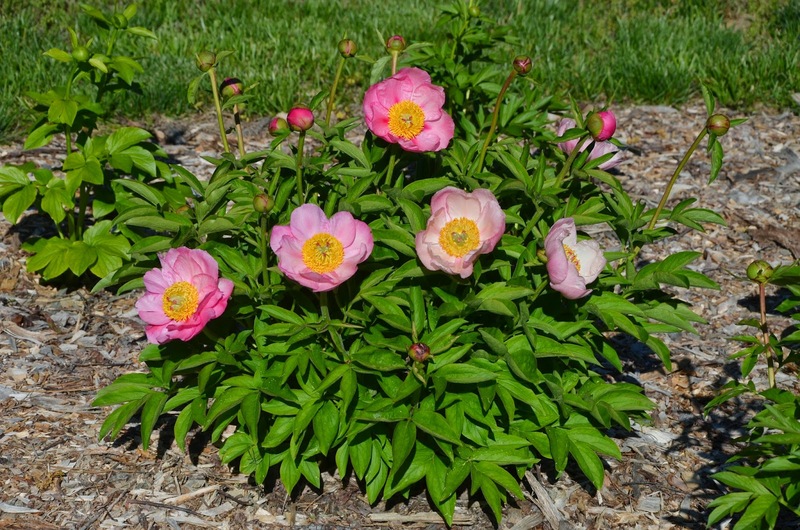 So if you are looking for a great, early blooming variety to add to your collection, Peony 'Firelight' definitely deserves a closer look.